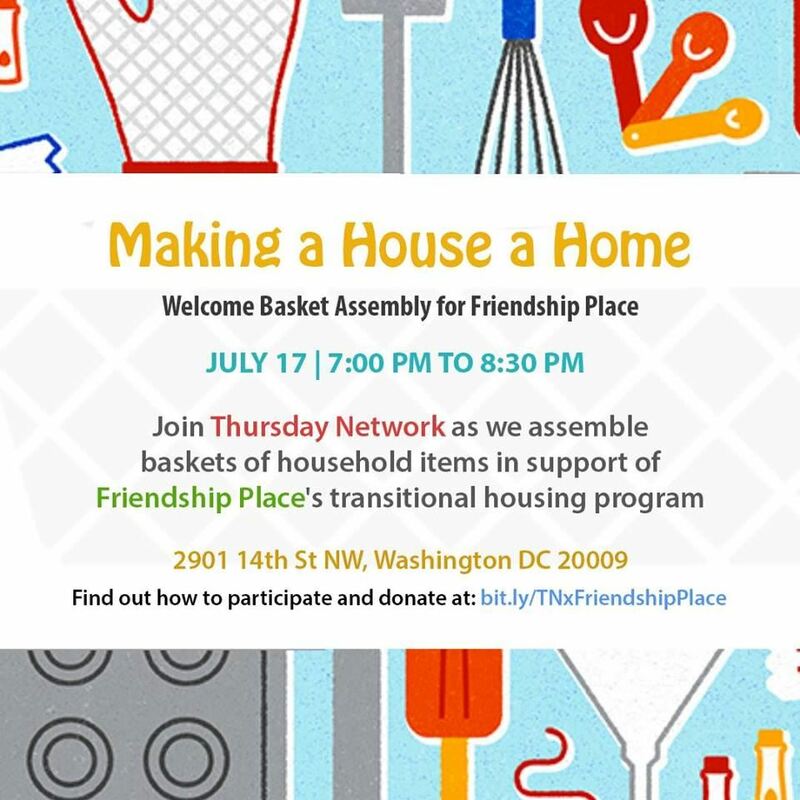 Join Thursday Network on July 17 from 7:00 pm to 8:30 pm as we assemble items collected to create baskets for families experiencing housing instability and are staying in temporary housing at Friendship Place. We are in need of donations to create baskets of essential items to help families feel at home in their new surroundings and are holding a donation drive through July 17. During the event, volunteers will assemble baskets that will be delivered to Friendship Place. For more information on donating items for this event and participating in our basket assembly event, please visit bit.ly/TNxFriendshipPlace!